Home / MU Player / Is this the Total Bonus From MU to AS Monaco For Anthony Martial? 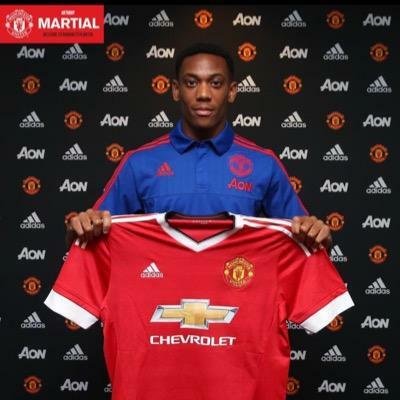 Is this the Total Bonus From MU to AS Monaco For Anthony Martial? Is this the Total Bonus From MU to AS Monaco For Anthony Martial? – What the price is for sure Anthony Martial after coupled with bonuses in the contract clause? There's no definite answer. But recently Sport Canal discloses the bonus that should be given Manchester United to AS Monaco. As is known, 19-year-old striker joined Manchester United last summer in a deal worth 36 million pounds (via the BBC). However, Canal Sport revealed bonuses that are agreed by MU and AS Monaco which have mentioned in Martial's contract. The report said that, in total, Manchester United will give a total bonus worth 30 million euro to AS Monaco. Furthermore, Sport Canal mentions that the Red Devils will provide 10 million Euros when Martial scored 25 goals. Second, Manchester United was required to pay 10 million Euros when Martial appeared 25 times with the French national team. And the third or the last, 10 million euro should be given by MU when Martial will be in the top 10 nominations FIFA Ballon d'Or. If this news is trustworthy, then AS Monaco seems to be able to get a total of 30 million Euros it. Because, so far Martial has scored three goals in the Premier League for Manchester United and his name have been recorded four caps with the French team.